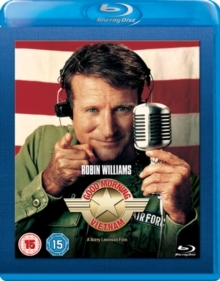 DJ Adrian Cronauer (an Oscar-nominated Robin Williams) causes uproar when he arrives in war-torn 1965 Saigon to take over the early morning radio show. His irreverent humour soon offends the top brass, in the form of Lt.
Steven Hauk (Bruno Kirby), but Cronauer becomes a hit with the GIs. Meanwhile, Cronauer shows a more sober side to his character in his romance with Trinh, a local Vietnamese woman (Chintara Sukapatana).